Nina below is my 9 year old from Sheeba. 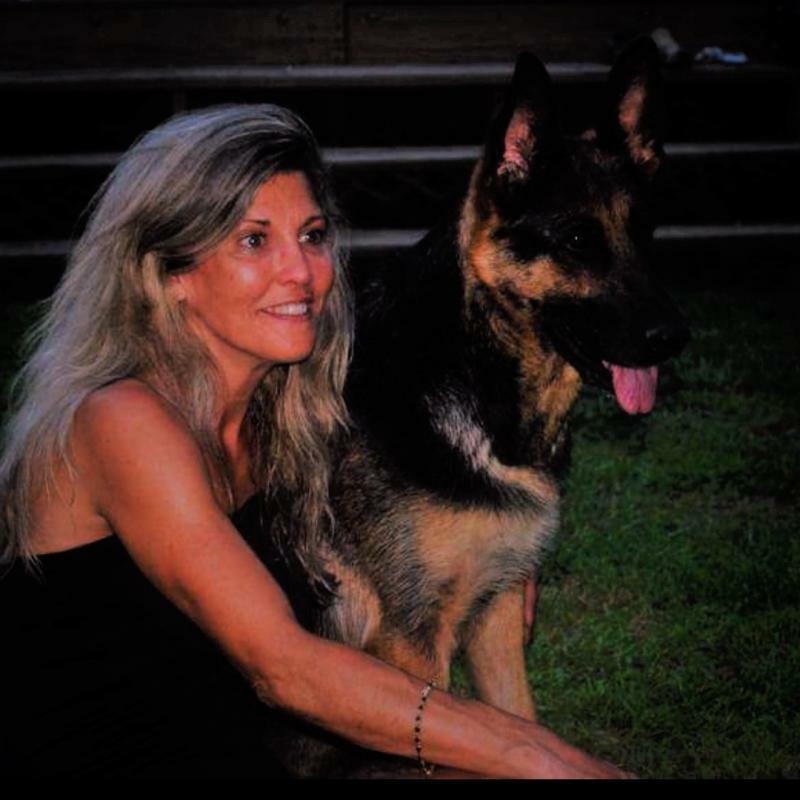 When you meet her you will think she is 3-4 years old I retired her at 7 and she is my best watch dog and an awesome Surrogate mom to my puppies!!! 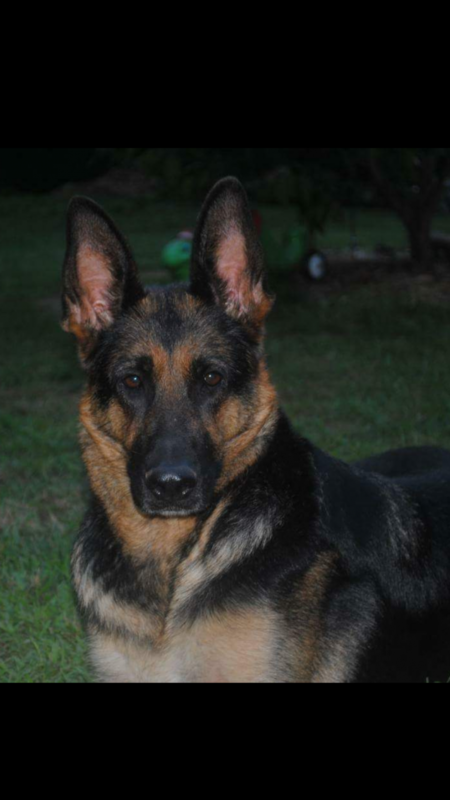 I have spent years searching for a true clean German Shepherd bloodline. My bloodline provides a healthy line that produces the straight back, genetically strong, absolutely no cross breeding and certainly not aggressive breeding. other animals in your home and very athletic. 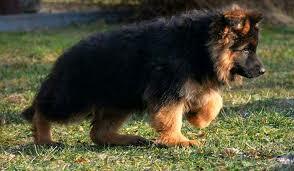 The picture below is just an example of what many breeders have done to the Original German Shepherds. This is a puppy, look at the back paw. Paw to knee on the ground. 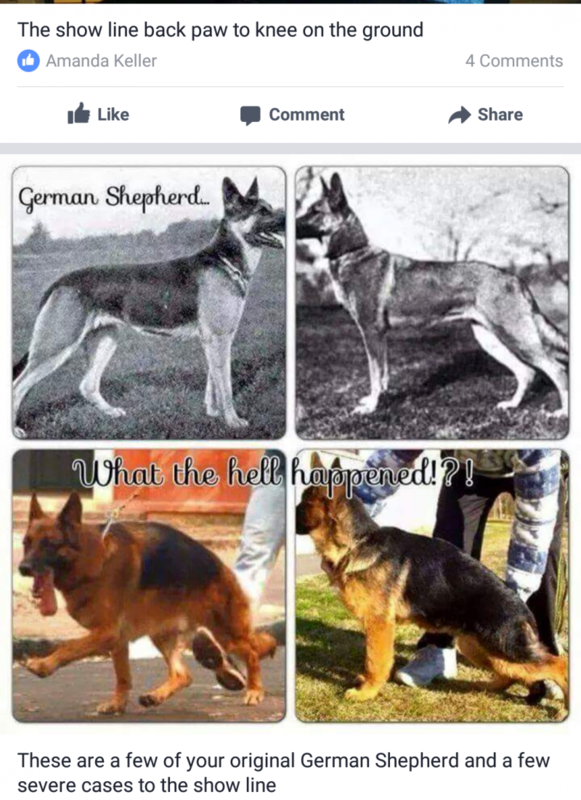 ORIGINAL German Shepherd back to families.